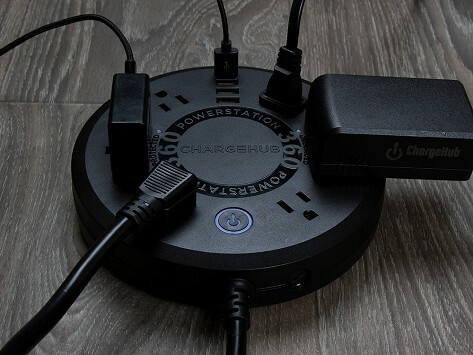 The ChargeHub Powerstation 360 is the ultimate USB charging station that eliminates the mess of excess cables, plugs, outlets, and power strips. 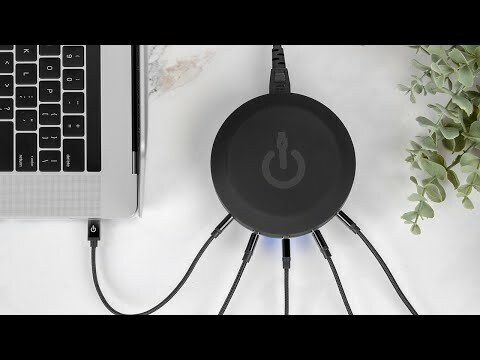 It simultaneously charges up to 10 USB devices through four USB and six AC outlets and provides up to 4000 Joules of surge protection with a Lifetime Connected Equipment Warranty. Dimensions: 14" x 11" x 3.25"